At the age of 30, Zusak has already asserted himself as one of today’s most innovative and poetic novelists. With the publication of The Book Thief, he is now being dubbed a ‘literary phenomenon’ by Australian and U.S critics. The Book Thief topped the New York Times Bestseller List and Zusak is the award-winning author of four previous books for young adults: The Underdog, Fighting Ruben Wolfe, Getting the Girl, and I Am the Messenger, recipient of a 2006 Printz Honor for excellence in young adult literature. He lives in Sydney. The relationship between Liesel and her foster father and Liesel's love of books is intertwined, were your parents involved in nurturing a love of books in you? They were but not really in a romantic way. They knew what it was like to struggle with language, so it was always important for them that all their kids be good readers and communicators. More so, they nurtured in us a love of stories. I’ve been so lucky as a writer. Both of my parents had amazing stories, but they also had the ability to tell them in beautiful, comedic and meaningful ways. Even when they talked about some of the terrible things that happened to them, they could get us to laugh. The Book Thief shows the power of words and the effect books can have on shaping people's lives. 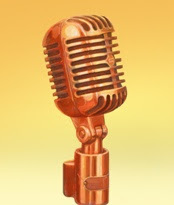 Do you think in today's multi media culture that the power of words has been eroded? No. I was reading a book about writing not that long ago, and it said that humans seem to need stories as much as they need food and drink to survive – and I think this will always remain true. Books should have died years ago, apparently, but you only need to catch the train somewhere to see people of all ages proving that theory wrong. What influences do you think helped form the character of Death? I guess working on it was the main influence. Originally I couldn’t get Death’s voice right because it was too typical. He was macabre and he enjoyed his work too much. It was only when the voice became more vulnerable that I started to really enjoy writing the book. I thought it made sense that Death could be afraid of humans, since he’s on hand to see all of the terrible things we do to each other. Then it would also make sense that he’s telling the story of the book thief to show that humans can be beautiful and selfless and worthwhile. Can you tell us anything about the film of the book, is it still slated for 2010 and have you been involved at all? I keep right out of the film side of things. It’s such a complex industry, and there are so many fingers in the pie, it seems. I also have no interest in writing a screenplay at the moment. It’s a totally different art form and I’m having enough trouble writing books. As for a 2010 film release, I doubt that very much. What authors do you feel have helped shape your writing? I guess we learn to write by reading our favourite authors over and over again. I’ve gone through several different authors, from John Irving to a great Australian writer, George Johnston. What advice would you give to writers trying to get a publishing deal? I’m not very good with questions like that, because I’ve never been very business savvy. I got published the way everyone tells you not to do it. I honestly think people get too caught up in meeting the right people and doing the right courses and showing up at the right events. None of that means anything without all the time and effort and willingness to do the work for no reward at all. So my advice is to ask yourself if you’d write whether you were going to be published or not. Maybe it’s similar to the idea that some people want to have a wedding and some people want to get married. And general advice about writing? Just to not be afraid of failing. Failure has been my best friend as a writer, in just about all ways. When I was rejected by publishers, I knew I had to put the work in to improve. When I spend months, even years failing over and over again on a book (as I have been lately), those failures usually lead me to the more original ideas in the story. Each one brings you a step closer to what will work, and sometimes they’ve given me the time to let all the ideas of the book come together in a more fully-formed way. It’s called Bridge of Clay, and it’s about boy who is building a bridge and he wants it to be perfect. Other than that, I’d better not say too much. I’m struggling enough without putting the mocker on it. Finally, sorry got to ask you this, have you ever stolen anything? 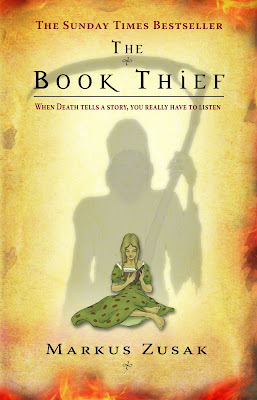 Read TVFH book review of The Book Thief here. For The Book Thief's web site click here. For Markus Zusak's web site click here. And coming tomorrow The Lone Ranger reports on the London Book Thief Project by Random House and The View From Here. A sneak peak opposite. I've had this on my to-be-read pile for ages, and I know it is going to be one of my favourite books before I have even read it. I live in Munich - can't wait to get started even more now after this great interview. Oh Gosh I shall have to get this - I love the idea of having Death as a character. I'm so intrigued. An interesting interview Mike and I really want to know what Markus has stolen! Let's have a part three please! Fortunately, The Book Thief was already on my reading list, so I didn't have that "oh dear God when am I ever going to get to all of these?" moment. And I'm going to remember that bit about keeping the "romance" alive by pretending people woke him up late in the morning. Sounds useful! Much more efficient than writing a fake diary to baffle future readers.